Hi all, I’m a China’s HAs user. I’ve seen one sales on EBAY before, but unfortunately, I can’t found any now. Does anyone have a pre-owned otometrics aurical freefit for sale? Or andyone know the sales information online? @abram_bailey_aud I don’t know if such a post is suitable, if not, please me know, I will delete it. If he wants my old Med-Rx Avant with the HIT box (which is a better piece of kit that has similar function) he’s more than welcome to make me an offer for it. Might cost a fortune to ship to China from the UK though. Thank you @Um_bongo, my friend confirms again that they need a otometrics auer freefit. Do you still have a need for the Otometrics Aurical Freefit? I may be able to get you a new one. I’m in the US. Thanks. Yes, I’m still looking for one. I bought a full set from a hospital in CA. I’m prevented from picking it up because of the fire outbreak in the area. As soon as it’s save for me to pickup, I’ll let you know. I’ll then send you pictures and more demand we can negotiate. Thanks. How much would such a device cost? 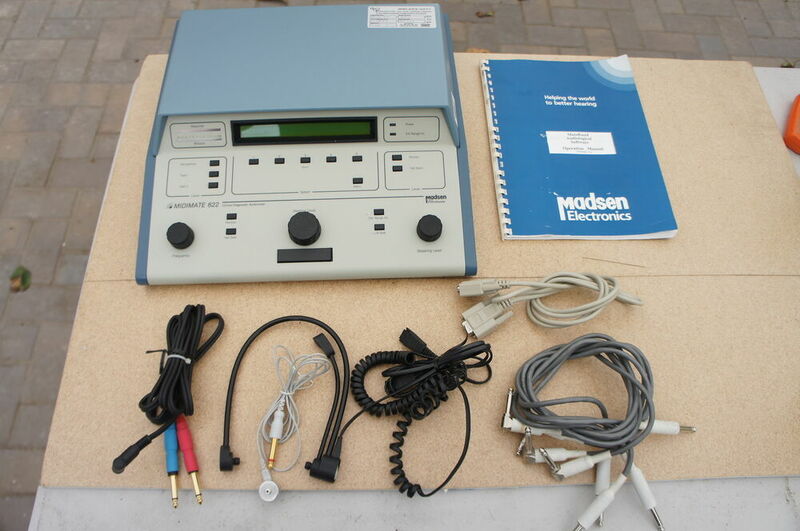 When connected to a desktop printer - or to the Zodiac 901 Middle-Ear Analyzer - you can directly print out your audiogram without a PC. Midimate’s PC compatibility safeguards it from becoming obsolete as technology changes. | eBay! Thank you, too expensive for me. Refitting without REM, an option or better not to do it?